Classy with a hint of Sassy!! The Art of Vintage Fashion and design. 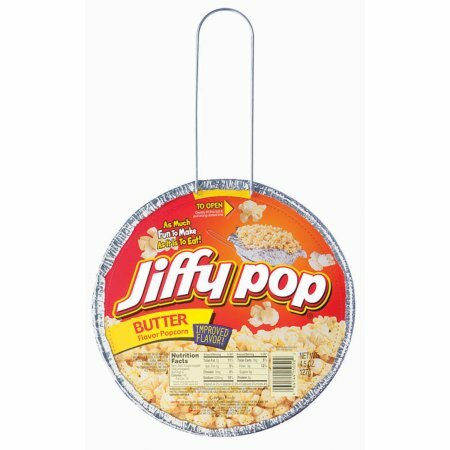 Growing up in the 1960s when we wanted popcorn Mom would bring out the Jiffy Pop, place it on the stove top and rotate it as the kernels popped into delicious fluffiness. There were no microwaves back then and even if they did exist we could not afford one. Mom did almost everything the old fashioned way. 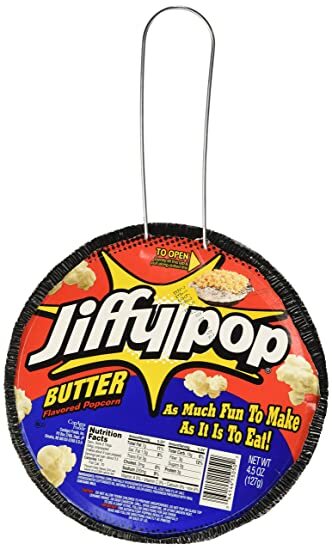 As I was looking for images of Jiffy Pop Popcorn I was surprised to see that it is still sold. Brings back memories of simpler and happier times for Stephen and me.